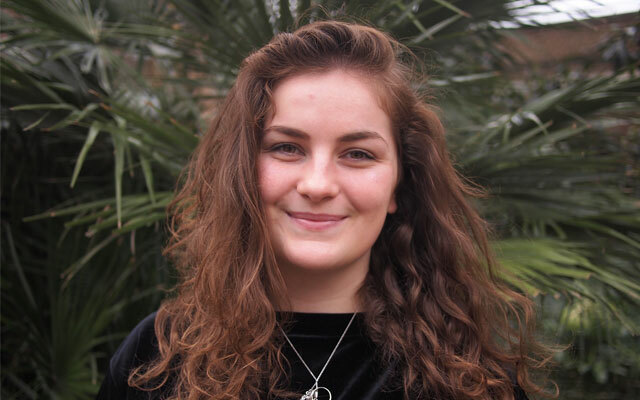 Hi I’m Eva, Your Vice President Welfare, I’m here to help you with campaigns around housing, mental health, sexual health, the welfare state and students of faith as well as lots of other things that make students’ lives better! If you’d like to get involved in any Welfare campaigns send me an email and I’ll be happy to chat! Some of my plans for the year include helping to establish student housing co-ops, helping set up housing campaigns, including putting the NUS Rent Strike policy into practice & creating guidance on tenants unions for students. Mental Health will be also be a huge priority for the Welfare campaign this year! As well as looking into the relationship between the privatisation of education and how we can better help students & officers in FE & HE create communities of care because when it comes to mental health our issues cannot be individualised. There are lots of things I’ll be doing this year and campaigns for you to get involved in from working with the Disabled Students’ Campaign on fighting the privatisation of our NHS, to working with the Women’s Campaign to tackle sexual harassment on our campuses!